The Season 6 Battle Pass contains no less than 100 tiers. You unlock each tier by simply playing the game and completing Battle Pass Challenges. As you progress through tiers, you unlock unique rewards. Completing the Battle Pass should take approximately between 75 to 150 hours. Season 6 will run from September 27th to December 6th 2018. Here’s the official Season 6 Battle Pass trailer! [Offer #1] Season 6 Battle Pass – Price: 950 V-Bucks. [Offer #2] Season 6 Battle Bundle. The Battle Bundle package includes the Season 6 Battle Pass + 25 tiers. Price: 2,800 V-Bucks (40% discount). Weekly challenges are back in Season 6. Players will need to complete four out of the seven quests in order to unlock the 5,000 XP reward. Note: 3 of the 7 weekly quests are available to “Free Pass” players. Make sure to regularly check our Twitter for the latest challenges and tips on how to complete them. Complete 5 out of the 8 Calamity Challenges to unlock the “Reckoning” pickaxe. Also, completing a certain amount of Weekly Challenges will unlock additional styles/colours. These challenges can still be completed after the Season ends. Similar to the “Road Trip” challenge from Season 5, completing all challenges in 7 different weeks will unlock a legendary outfit (yet to be revealed). 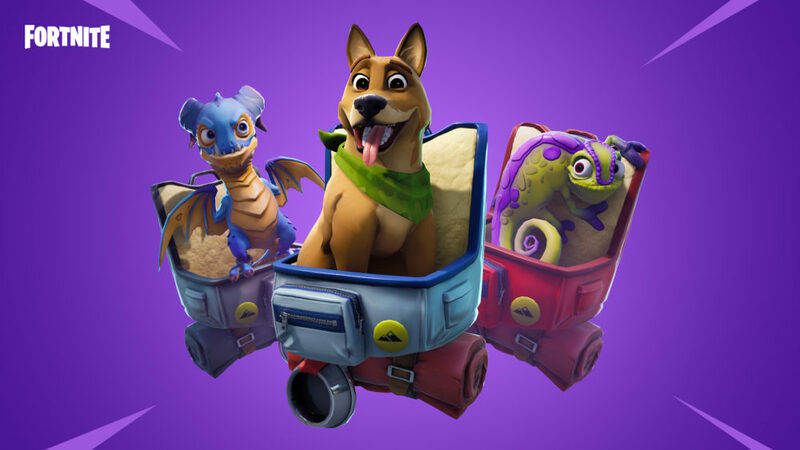 Season 6 adds a brand new cosmetic category: Pets. Pets are passive companions that will react to different situations.